Believe it or not, where you and your clients sit at a table during presentations plays a factor in the conversation flow and room energy. 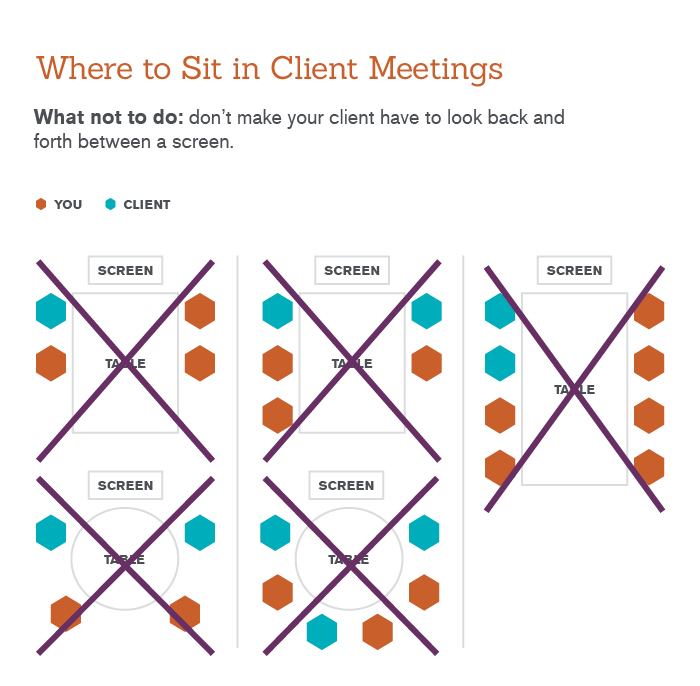 Most people “allow” clients to sit at the front of the a table closer to the projection screen, or in the middle of a table surrounded by team members. While it may seem welcoming, this type of seating (pushing the client to the front of the room, or dead center among a large team) can often result in clients having to work harder to engage in the full conversation, like they’re watching a tennis match. Think about who sits where before everyone takes a seat. In most cases you’ll want whomever is presenting to sit closest to the screen and have the clients in the middle/back. This way they can maintain a forward gaze for the majority of the meeting, while easily maintaining eye contact with presenters and other team members. Most people awkwardly linger around the table before taking a seat in a big meeting, so alleviate that pain and take the lead by recommending seats. 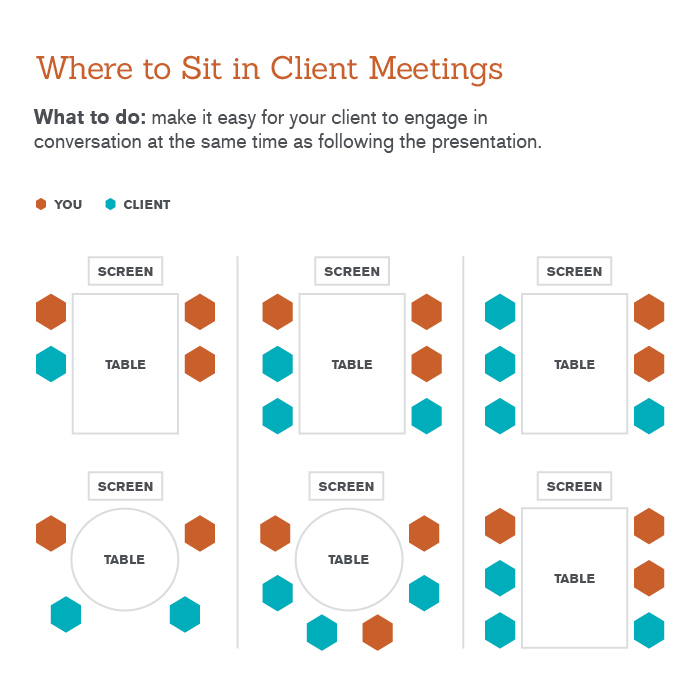 Demonstrate your expertise by consulting the seating charts below for your next client presentation. By doing this you’ll start inviting more conversation (partnership) and less “presentation” (vendor).